The main decisions making body of the Europe Goes Local project is the Steering Group that has its next meeting from the 31st of January to the 2nd of February in Brussels. The Steering Group involves four National Agencies of the Erasmus+ Youth in Action programme (Belgium-Flanders, France, Germany and Slovenia), the European Youth Forum, the Partnership between the European Commission and the Council of Europe in the youth field and two networks: POYWE and InterCity Youth. The coordinating National Agency of the project, JINT vzw is hosting the upcoming Steering Group meeting in Brussels on 31 January – 2 February. The members of the Steering Group come together to decide about the next steps within the project and to define the aims, goals and activities for the second half of the its implementation period. The project activities take place at two levels. 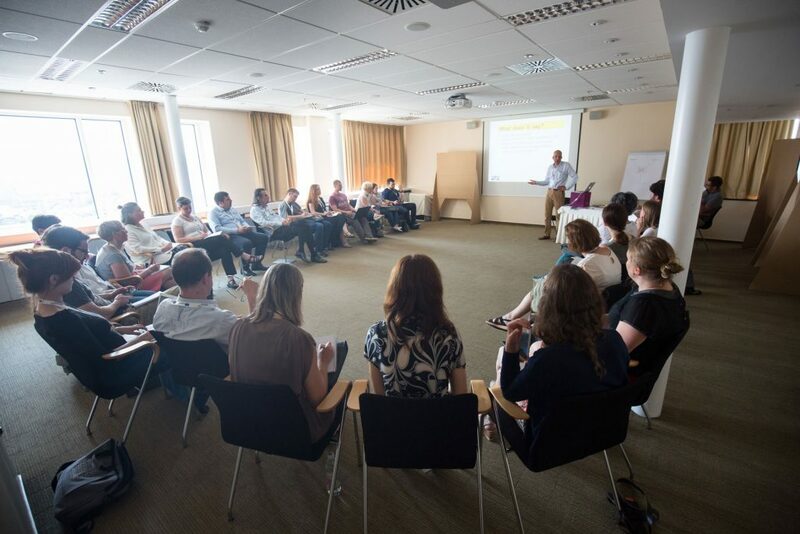 National Agencies plan all initiatives that are implemented at the national level or within a small circle of European partners, while the Steering Group decides about the actions and aims that concern all participating actors. 2018 and 2019 will be an active period in the life of the project. Two European conferences are foreseen and a consultation with stakeholders in each participating country that will result in a new tool to support municipal level youth work. The new tool shall be a Charter on Local Youth Work that is intended to help all involved actors of local youth work in advocacy, practical planning as well as a checklist for quality control.